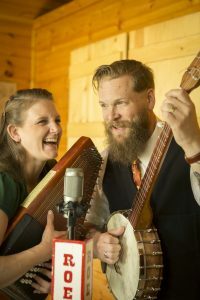 Pinecastle Records recording artists the Roe Family Singers are a Good-Time, Old-Time Hillbilly band from the tiny community of Kirkwood Hollow, MN. 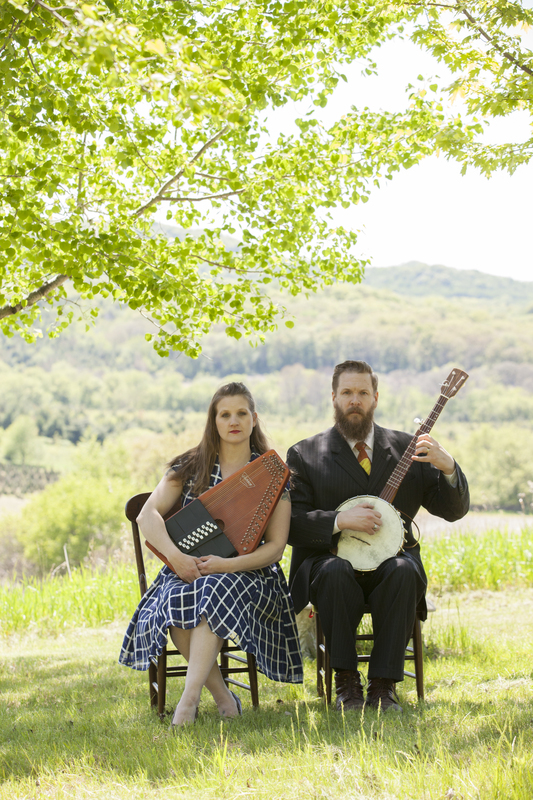 Led by wife & husband Kim Roe (Best Female Vocalist, City Pages/Village Voice) and Quillan Roe (Accident Clearinghouse), the band marries old-time sounds from barn-dances, fiddle pulls, and county fairs with the rock & roll passion of youth. Featuring banjo, Autoharp, guitar, and Appalachian clogging, the band and family of fans have been regularly filling Minneapolis’ 331 Club every Monday night since 2005. They’ve shared the stage with Doc Watson, Ralph Stanley, Mike Seeger, Del McCoury, the Grascals, and Jim Kweskin & Geoff Muldaur. In 2011 the band was awarded the prestigious McKnight Fellowship for Performing Musicians; they won the title of “World’s Best Jug Band” twice, in 2010 & 2012 at the annual Battle of the Jug Bands; in 2012, won the Minnesota Duet Contest at the MN State Fair; in 2016 won the title of Entertainers of the Year from BMAI; and, in 2017, Kim won the clogging competition at the Old-Time Music & Ozark Heritage Festival held in West Plains, MO. 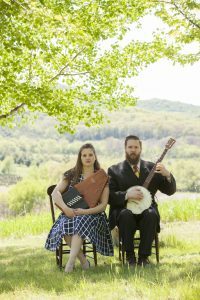 The Roe Family Singers mix original music and contemporary takes on old-time, traditional, and gospel tunes into one roiling & rollicking river of fresh yet familiar American music. Every performance raises a ruckus. 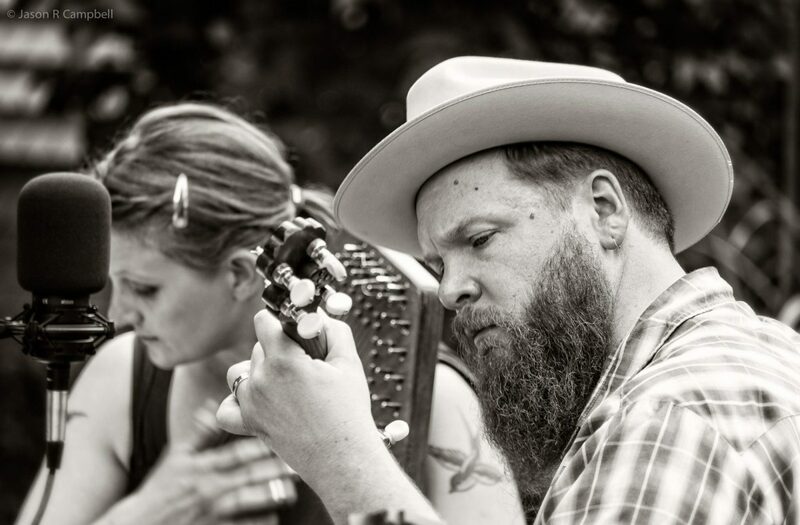 Although Kim & Quillan Started performing as a duo, these days they are most often joined by Dan Gaarder, lead guitar and vocals; Ric Lee, fiddle; and Eric Paulson, upright bass. On a Monday night at the 331 Club in Minneapolis, MN, they may also be joined by Rob “Ol’ Spitty” Davis, jug; Kurt Froehlich, mandolin; Joe Hayes, Appalachian clogging; Rich Rue, steel guitar and Dobro; and Adam Wirtzfeld, musical saw.